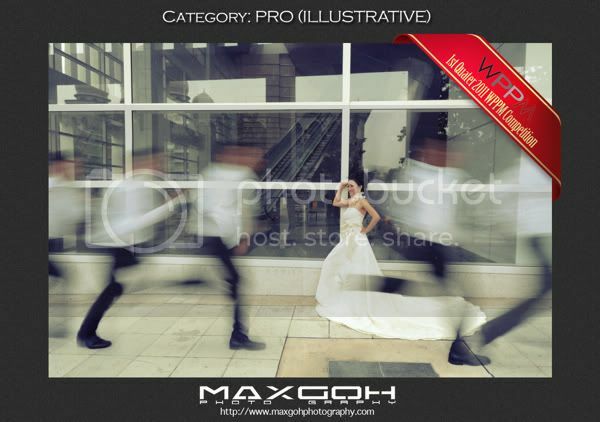 This gonna be a huge surprise on my hard work(3 hours editing on this photo =.= ) and well planned. 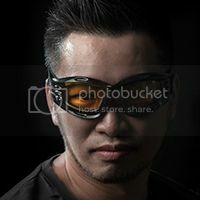 Special thanks to my wife Annabelle Tan for posing, and partner Simmon Cheong for helping me to take these series of photos. Cannot increase ur price on me ah! Congratz!!! Hi Max, congratulations. Good work. Keep it up. It is a nice competition. 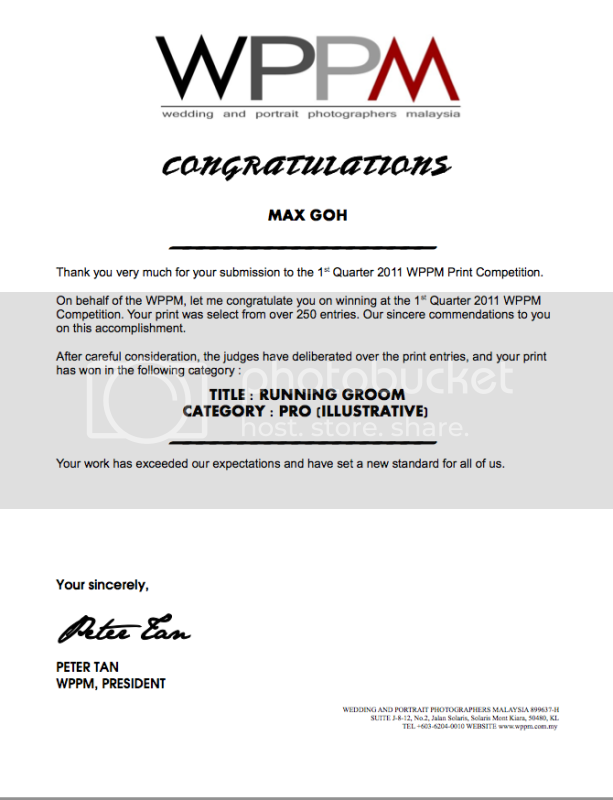 I like to participate in 1st quarter 2011 WPPM print competition. Thanks for sharing such a nice information with us.